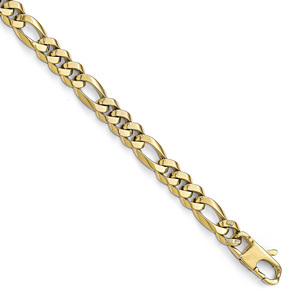 14K Solid Gold Figaro Link Bracelet. Standard size 8 inches (available in all lengths). We guarantee our 14K Gold Figaro Link Bracelet (7mm) to be high quality, authentic jewelry, as described above.